The National Australia Bank has supported all 72 recommendations in the Hayne final report and has already completed or was in the process of completing 26 of the recommendations. In a statement to the ASX, NAB group chief executive Philip Chronican said NAB supported 72 of the recommendations in the Hayne final report and that the bank had already implemented some changes ahead of the final report release. As of July last year NAB had announced it would not charge default interest to agricultural customers impacted by drought, had announced a board customer committee to oversee the bank's processes to ensure fair products and service outcomes and had removed grandfathered commissions for its advisors. Mr Chronican said the Hayne final report recommendations will help lead to a “better, more customer-focused industry as organisations change in response. “The commission has also rightly challenged NAB to close the gap between where we are today and where we need to be,” he said. NAB agreed with all seven of the cultural and governance recommendations and said that they had already implemented the Sedgewick review into retail banking ahead of schedule. The bank also agreed with all 14 of the regulatory recommendations and said it would proactively support their implementation. On annual renewal and payments, it said NAB Financial Planning’s salaried channel will implement 12-month agreements on 1 April 2019 in place of ongoing fee arrangements (OFA). 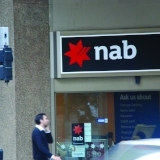 NAB also remained committed to its removal of grandfathered commissions as it moves to a ‘fee for service’ model, with the NAB Financial Planning salaried channel turning off grandfathered commissions and the benefit being passed through to clients via a rebate or a fee reduction effective 1 January 2019. On the other hand, Mr Chronican said he would work with government and regulators with a view to taking positive action as quickly as possible on the remaining four recommendations relating to broker arrangements, definition of small business and Banking Executive Accountability Regime (BEAR) accountabilities. NAB did not explicitly agree with Recommendation 1.3 on mortgage broker remuneration and Recommendation 1.5 on mortgage brokers as financial advisers. It said its position on those recommendations was that it will “work with the Treasury-led working group to ensure that the broking industry remains viable, customers have choice and get the best possible outcomes”. For many of the recommendations, NAB said that it would work with Treasury on the details of the implementation including on recommendation 3.2 to not deduct fees from MySuper accounts. NAB said it would work with the industry and Treasury on the detail of its implementation, saying it was to the “importance of all customers being able to access advice, if they choose, and receive best possible outcomes”. NAB also didn’t explicitly agree with Recommendation 1.10 around the definition of ‘small business’, as well as Recommendation 1.17 on BEAR accountabilities. It said that it is intent expanding its definition of small business from entities with aggregate borrowings of less than $3 million to aggregate borrowings of less than $5 million. On BEAR accountabilities, NAB said it has allocated responsibility to specific accountable persons for each step in the design, delivery and maintenance of all products offered to customers by NAB and any necessary remediation of customers in respect of those products. Further, NAB said it will address this recommendation, in consultation with APRA, as part of any regulatory change. NAB also said further clarity was needed around the definition of ‘hawking’ when it came to insurance as it believed insurance products directly related to banking products should be able to be discussed with the customer.